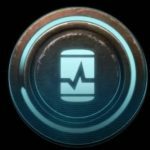 This is a Mass Effect Andromeda consumables guide on the Overdrive Pack. Here you will find details on the consumables used by the Pathfinder. Immediately reloads all weapons, recharges all powers, and temporarily boosts accuracy and damage reduction.